Draconian Plan To Force People To Leave Florida Continues To Jolt Forward, Using Hurricane Damage As The Excuse! Title: Draconian Plan To Force People To Leave Florida Continues To Jolt Forward, Using Hurricane Damage As The Excuse! Subtitle: "Re-wilding" of Florida continues as the state's largest insurance company refuses to continue homeowner's insurance! Many people will begin to make plans to relocate elsewhere. The time is coming when a global charismatic leader is going to declare that people must be forced to leave so 'Mother Gaia" can be protected. The Re-wilding Plan foresees that most of Florida will be "cleansed" of human population. The cost and the danger of living in Florida just skyrocketed for 1.2 million homeowners! Using extensive and common hurricane damage as the excuse, State Farm -- Florida's largest home insurer -- has announced that it will no longer underwrite homeowner's insurance. Let us examine the latest news story. "MIAMI, Florida (CNN) -- Florida's largest private insurer is pulling the plug on homeowners' policies in the state, citing the losses suffered since the brutal 2004 hurricane season. The decision by State Farm Florida comes two weeks after state insurance regulators rejected the company's request to raise rates by more than 47%. The decision means State Farm Florida - a subsidiary of national insurance giant State Farm Mutual - will no longer renew policies for its roughly 1.2 million customers in the Sunshine State." The company cited massive losses from claims already paid out for hurricane losses. "The company said it has paid out $1.21 in claims for every dollar of premiums it has collected since 2000 and suffered billions in losses after the 2004 hurricane season, when four major storms hit the state. And it said its net worth had dropped by nearly 25% since 2006 even with no major disasters.
" 'This is not something any business can afford to do', Thompson said." Florida citizens will now have to depend more upon the state-run, nonprofit Citizens Property Insurance company, which was established in 2002 to cover homeowners who could not obtain insurance from a private company. However, at some point, the state of Florida may reach the point where it no longer has the funds to continue covering every home which cannot buy private insurance. All Florida needs is a few more devastating hurricanes to really ratchet up the financial pressure. What a crisis! What is happening to the good folks in the state of Florida? The answer is really quite simple. Florida is being systematically 're-wilded'! The Master Plan being followed is the United Nations Biodiversity Map which designates those areas on which humans will not be allowed to live! This process is also called "Re-wilding". Before we get into the current grave drought, wildfire, and hurricane situation in Florida, let us examine this Re-wilding process. If you have not yet heard of this draconian plan to set over 50% of the entire United States off limits to normal human habitation, prepare to be shocked. America's Map - shown left -- is being quietly redrawn, to create vast areas where no human activity -- especially living -- will be tolerated. This plan is called the "Rewilding Project". Once it is fully implemented, you will be told where you can live and what occupation you will be allowed to pursue, if you are allowed to live at all. Weather Modification and Control are the specific tools being used, because the storms look so "natural" no one would suspect that they were deliberately created and steered, in order to achieve the desired effect. 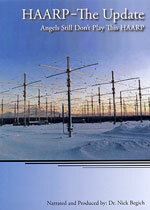 If you have not yet come to grips with the reality that scientists control the weather of the world through Scalar Technology, please visit our Weather Control / Weather Warfare Section to see bookstore resources and Cutting Edge articles which fully explain this phenomenon to you. 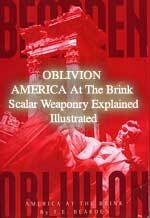 Of particular interest is the startling revelation from Defense Secretary William Cohen, on April 28, 1997 University of Georgia, Athens, Georgia, as he reveals that our enemies control the weather and can use it as a weapon against us. NEWS BRIEF: "COHEN ADDRESS 4/28 AT CONFERENCE ON TERRORISM: Terrorism, Weapons of Mass Destruction, and U.S. Strategy", Sam Nunn Policy Forum, April 28, 1997 University of Georgia, Athens, Georgia. "... some countries have been trying ... an eco-type of terrorism whereby they can alter the climate, set off earthquakes, volcanoes remotely through the use of electromagnetic waves." Defense Secretary Cohen's warnings came in April, 1997; foreign scalar scientists have honed their skill since then, to the point where Russian Scalar Wave technology can, and is, controlling world weather. "I am a meteorologist at an affiliate in the Northwest who now uses scalar weapons signatures within the clouds to better my forecasting record. After closely watching high-resolution visible satellite imagery there is no question in my mind that these storms weren’t (sic) altered and guided to their final destinations. No doubt what so ever. I have come to a further conclusion; that the entire Earth’s weather had been digitized. There is not a flood, thunderstorm, cyclone, or drought that isn’t allowed to happen. Control over global weather is complete. This way it is much easier to control portions, hurricanes/storms, within this system." But, then Scott Stevens dropped an even greater bombshell. This quote from a trained weatherman who has learned how to read the scalar signatures in clouds literally means that scientists working for the Illuminati are using Scalar Wave Technology to create the drought in Florida -- and weather all throughout the world. However, our emphasis here in on Florida. Since Illuminati scientists control the very kind of weather weapon which would be most useful in clearing a specific location of human habitation, we need to further understand this plan, unofficially called "re-wilding". i.e., clearing an area of all human habitation and of all traces of human habitation, and allowing the land to "go back to the wild". The New World Order Plan -- represented by this map -- envisions that over 50% of America will be set aside so that no human activity whatsoever can occur within these set aside areas (Red "Core Reserve" Areas on above map, plus the Yellow "Buffer Zones"). This plan is being implemented, right under our very noses, and always with the highest sounding rhetoric possible. It seems to be a principle with the Illuminati, that, whenever they want to enact legislation that will destroy us, or enslave us, they do so with the highest flying rhetoric they can possibly write. I guess we should beware whenever we hear a politician sounding off about how much they care about us, or how much they are about to do for us! Adolf Hitler was one of the greatest orators who ever lived; all his programs were instituted with flowery rhetoric. Now, let us look at two instances where the "collective needs of non-human species" [like the spotted owl, other endangered species, including fish] are being given precedence over the needs of man. Under this bill, three Federal Land agencies -- the National Park Service, the U.S. Fish and Wildlife Service and the U.S. Forest Service -- will write regulations defining how they will 'assist' the states and embark on a massive land acquisition planning program. That will then lead to preauthorized Federally-funded state and Federal land acquisition, with no limits on where they will buy or the cost. In other words, the Federal Government is so committed to "acquiring" this land that they will not be limited by such mundane considerations like cost! Obviously, this project means a great deal to our politicians. When I look at the map showing these "acquired" areas of America that are going to be set aside for "non-human species", I can see that most of the extreme Northeast is thus set aside! Where an area is not completely forbidden to humans, it is crisscrossed with "Human Buffer Zones" which "severely limit use" by humans. The entire Northeast is planned to be carefully mapped out in this manner. The entire Northwest is similarly set aside, as are most of the West and Midwest states; in 1981, I read that the Extremist Environmentalists wanted to give all this area back to the Indians and thought they were crazy. Little did I know that their radical plan was developed in the minds of the Illuminati, who controlled Congress, the White House and most state governments. This Northern Forest Stewardship Act is a most deliberate, planned bill that actually implements this terrible plan. Most of this beautiful, heavily wooded area is going to be put off limits to human living, commerce, and recreational activity! But, you ask, what about the private owners of this "acquired" land? What about their rights? In other words, you, the private property owner, will be notified just before your land is to be confiscated. The government will base its actions upon both this land use bill and its established right of "eminent domain". When this plan gets into full swing, the landowner or property owner should not expect to receive a dollar value anywhere close to the full market value of their property. Of course, everyone will want to move out anyway, because the normal economy of this region will immediately be ruined, as all natural resources will be declared "sustainable preserves" that will be off limits to any business or city for any reason. Commerce will die, as is the plan! Or, the area will be ruined by a series of horrible, unprecedented natural disasters. I do not see how the final details of this plan to set aside so much of America for the express purpose of denying human activity can possibly be enacted as long as we are still voting for officials of Congress and state legislators. Therefore, we can expect that the more stringent parts of this Plan will await the planned disasters and crises about which we have repeatedly warned, disasters which will give authorities the excuse to dissolve our Constitution, suspend all personal liberties, and begin arresting dissidents and throwing them into prison. To your left, you will see an expanded map of Florida, showing the state in greater detail. This map was taken from the map of the entire United States, shown at the very beginning of this article. 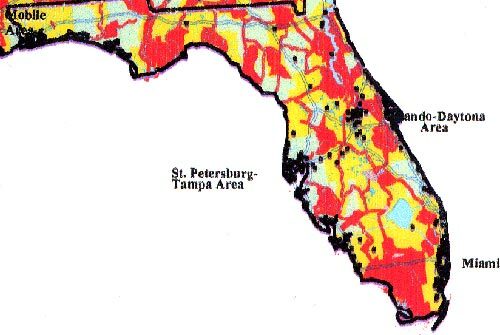 1) Red denotes "Core Reserves & Corridors: Little to no human use"
2) Yellow denotes "Buffer Zones: Highly Regulated Use"
These two designations cover about two-thirds of Florida, if not more; in fact, I count only 16 areas designated light blue, which are "Normal Use" zones. Dr. Michael Coffman, Environmental Scientist, created this American map after studying over 10,000 pages of United States Biodiversity documents. He says that he was amazed that the United Nations scientists who created the American map seemed obsessed with clearing Florida of all human habitation. They were clearly fixated on the state of Florida as a territory which needed special cleansing. We have identified two (2) major Weather Control - Weather Warfare weapons which are hitting Florida right now. 1) Hurricanes -- have repeatedly devastated Florida. Some hurricanes have literally been steered right into Red areas on the Biodiversity Map. Read the following Cutting Edge articles which have reported on this phenomenon. NEWS1953 -- "HURRICANE CHARLEY ABRUPTLY, UNEXPECTEDLY CHANGED COURSE, STRIKING PUNTA GORDA AREA, A MAJOR U.N. BIODIVERSITY AREA WHERE NO HUMANS WILL BE ALLOWED TO LIVE!" And, remember Scott Stevens' testimony, above, that scalar scientists can and do steer "cyclones", which is the name given a hurricane storm in the northern hemisphere. A hurricane is identical to a cyclone, but it forms in the Gulf of Mexico or Caribbean Sea, and travels generally northward, veering either northeast or northwest from its beginning. Wildfires naturally follow extreme drought. How bad is this drought? Let us examine the Keetch-Byram Drought Index. How bad is the lack of rainfall in many areas of Florida which prompted this public warning? This public service announcement gave that surprising information toward the end of the article. "Since January 1st, 2007, 2,473 wildfires have burned 350,192 acres in Florida. In recent weeks, the Keetch-Byram Drought Index has risen to a statewide average of 560. The Keetch-Byram Drought Index measures the amount of moisture in the upper three feet of soil - which ranges from 0 (flood conditions) to 800 (desert-like conditions). Thirty eight Florida counties currently have a KBDI reading of over 600." It is very disconcerting to think that Florida is 75% of the way towards having the KBDI which designates a desert! We believe that Florida is in the midst of this extreme drought, resultant wildfires, and repeated hurricanes in order to drive the people off the land. With so many End of the Age prophecies taking place throughout the world, we know that the "Cleansing Cycle" of Antichrist is also very close. Remember that, in order to cleanse the earth of people, hurricanes and floods and drought/wildfires do not have to be the means by which residents are forced to leave their land. In fact, private property owners have proven to be very resilient in the face of such disasters. No, the real danger of these storms and droughts and wildfires lies in a completely different direction. Antichrist and his global government can just invoke the "Mother Gaia" principle and these lands would be cleared in a hurry! What is the "Mother Gaia" principle? 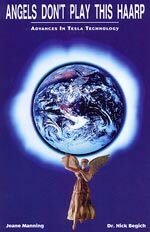 Much space in New World Order books is devoted to this concept that Mother Gaia is being slowly poisoned to death, especially by our current Industrial Civilization. Remember the Satanic belief that this planet called Earth is really a living, breathing, and thinking goddess, whom they called Mother Gaia! Occultists believe Mother Gaia is being overburdened and poisoned by both overpopulation and our Industrial Civilization. When Mother Gaia attacks in order to "cleanse" her earth and return to "balance", Illuminists believe she will attack two targets simultaneously: the human overpopulation and the Industrial Civilization! Of course, it helps that scalar scientists working on behalf of the global plan can control all aspects of the weather, for the Illuminati can make the very event happen which seems to fulfill occult belief in Mother Gaia. The real manner in which these hurricanes and drought and wildfires will result in the land being cleared is that government authorities, working on behalf of Antichrist, will declare that the reasons these natural disasters are occurring in these locations is that these are the particular parts of the globe which man's activities -- and his Industrial Civilization -- are placing undue stress upon Mother Gaia. In order to "prove" their point, these government spokesmen will point to the many natural disasters which have repeatedly hit these Red Core Reserve areas. Then, a government edict will order humans out of these areas, and other areas around the core reserves will be designated "Buffer Zones", showing on this map as Yellow areas. It will be just as simple as that. 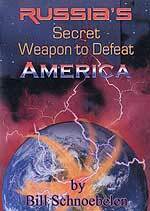 But, of course, this scenario will likely occur after the 91-day Third World War, after the Antichrist is on the world scene, and during his "cleansing" cycle of the earth. These are somber times, calling for a greater spiritual commitment to Jesus Christ than ever before. Are you spiritually ready? Is your family? Are you adequately protecting your loved ones? This is the reason for this ministry, to enable you to first understand the peril facing you, and then help you develop strategies to warn and protect your loved ones. Once you have been thoroughly trained, you can also use your knowledge as a means to open the door of discussion with an unsaved person. I have been able to use it many times, and have seen people come to Jesus Christ as a result. These perilous times are also a time when we can reach many souls for Jesus Christ, making an eternal difference.